Hazel loved the bow and we had to save it. Here is another picture focusing on the bow after we received it. 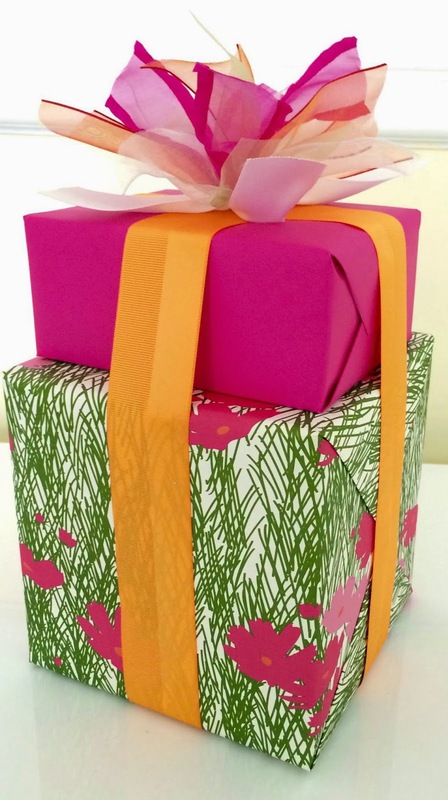 Of course before we even saw this, we opened the brown packaging box and found a personal note in beautiful handwriting surrounded by beautiful tissue paper that matches the gift wrap. And yes, Hazel insisted on saving the tissue paper too. We dug out the gift and then Hazel began opening it. Once we opened it all we found the various snacks. Since Hazel and I hadn't had lunch yet and it was late, we started sampling right away. 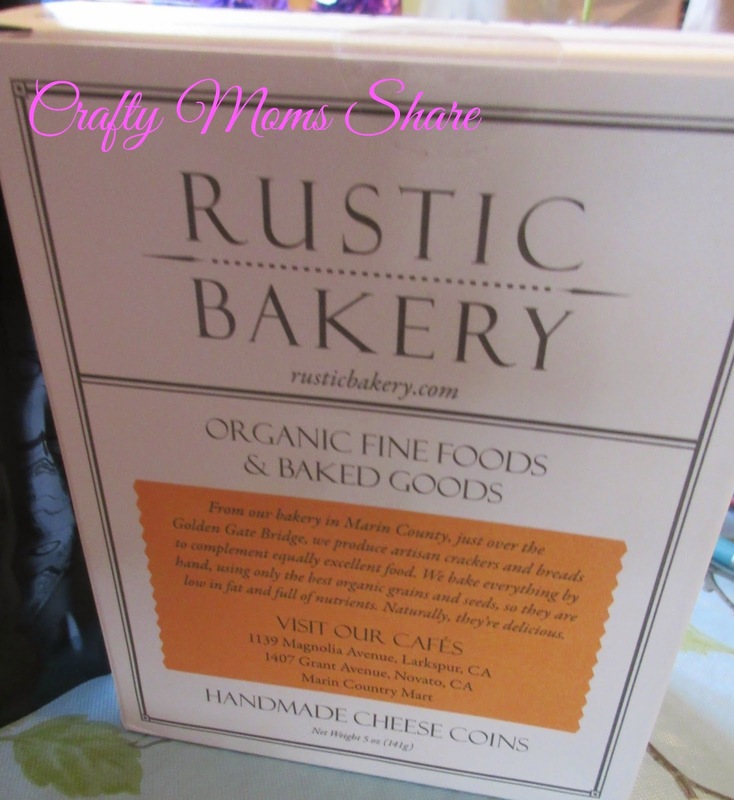 Hazel's favorite is the Rustic Bakery Cheese Coins. 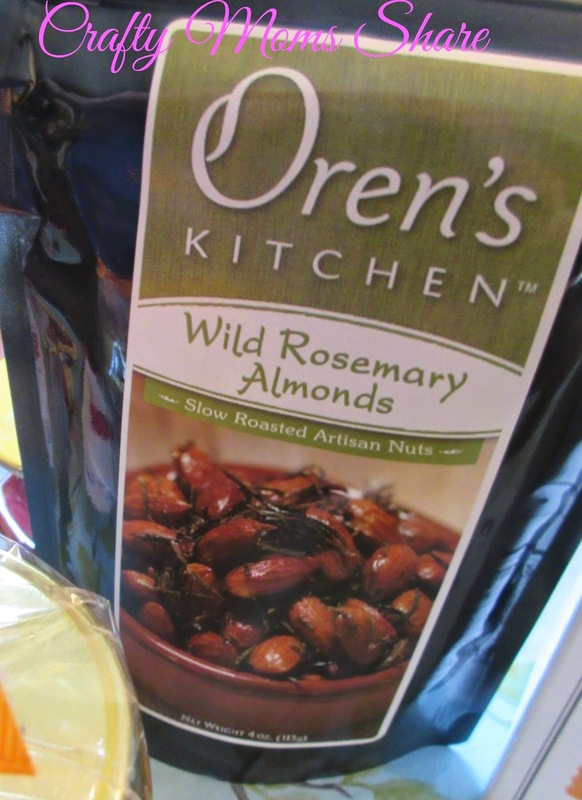 My favorite is Oren's Kitchen's Wild Rosemary Almonds. We all loved these, but I think I love them the most. 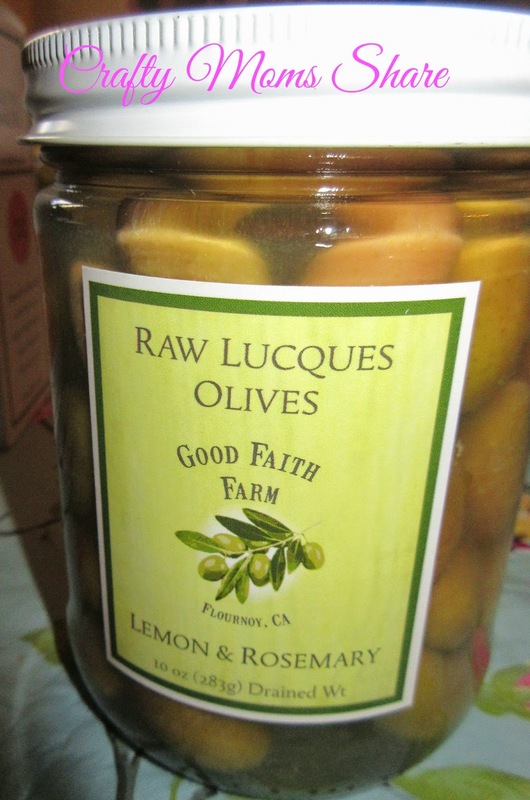 We also got delicious Good Faith Farm's Raw Lucques Olives. As the only olive lover in the family, I can say I am happy not to share them with anyone. They are so good!! As a young child I was known to eat an entire olive platter at holidays basically by myself. Needless to say I love olives. The olives arrived in insulated bubble wrap. The box had warnings that items needed refrigeration. 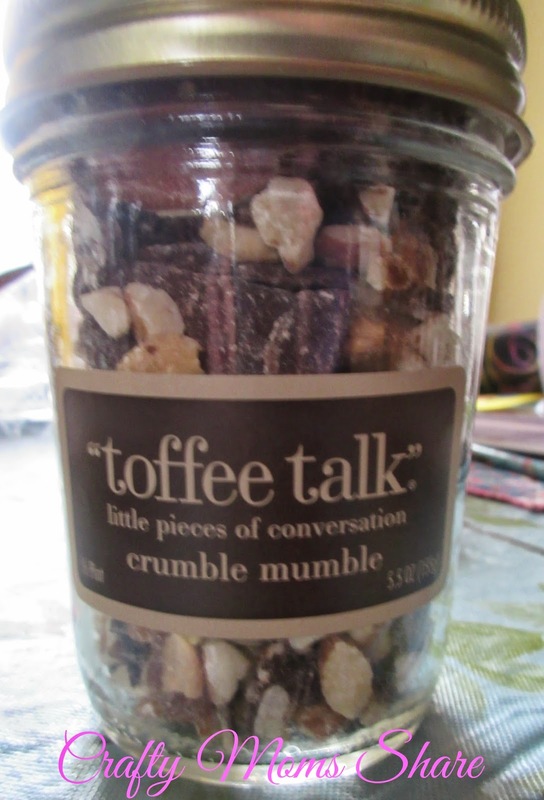 Next is the delicious Toffee Talk's Crumble Mumble. 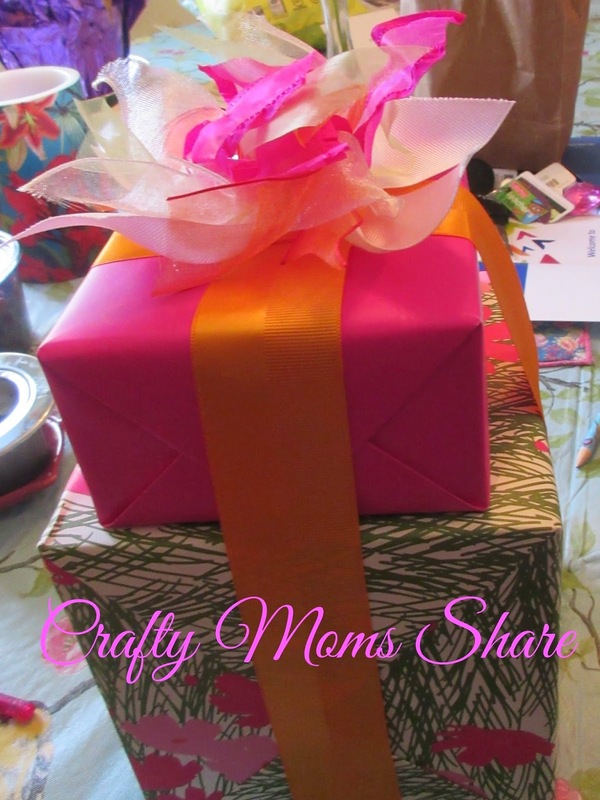 This came wrapped in cellophane with a pretty orange ribbon (matching the gift ribbon) on top. I have to admit I ate most of the jar in one sitting. It is so good. 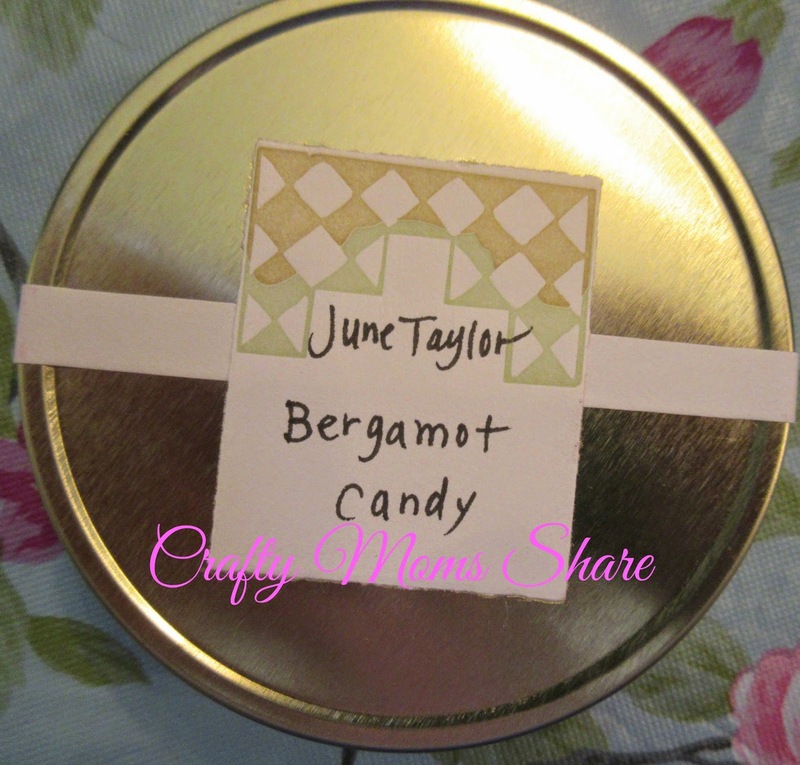 The final part of the gift is June Taylor's Bergamot Candy. Since I have never liked grapefruit I had a feeling this would not be a favorite and it is not. Hazel and I tried it and we both could taste the tang of the grapefruit and decided to give it to my mother-in-law since she likes grapefruit. All of these wonderful snack items came in the beautiful package. We have been enjoying them all. On Gift a Feast there is a bit about each of the companies that make the products and cards are included in the package with information about the companies and products. It is really a wonderful company that shares the taste of the San Francisco area with anyone who gets one. Each item is picked for the package from trustworthy companies. They wrap the gifts beautifully with amazing papers. It is such a wonderful gift and is full of yummy surprises for all. 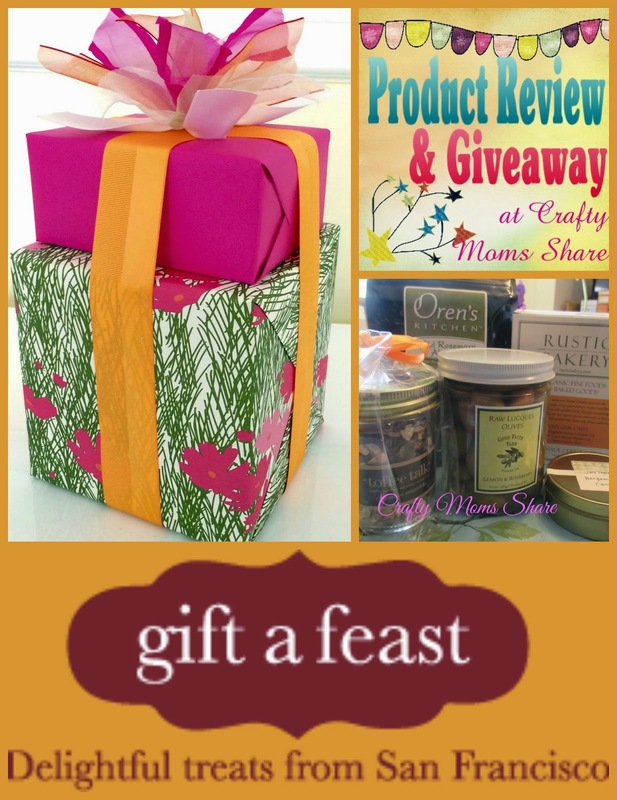 Take time to check out Gift a Feast and see all the amazing gift packages they offer! Now it is time for our giveaway. 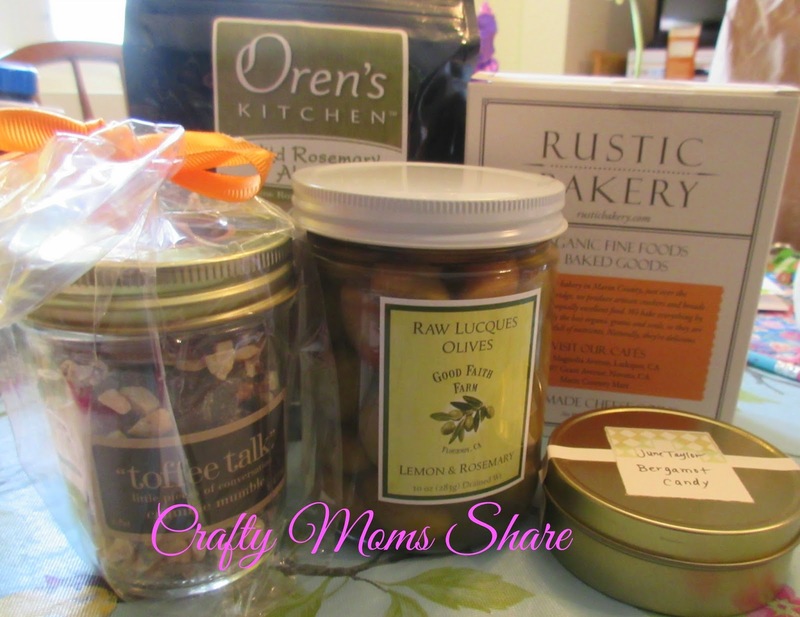 You can enter to win A Feast of Snacks gift for yourself or have it sent to someone as a gift. This is open to US residents and please follow my Giveaway Rules. Follow the Rafflecopter. It ends May 8th at midnight. Good luck! !